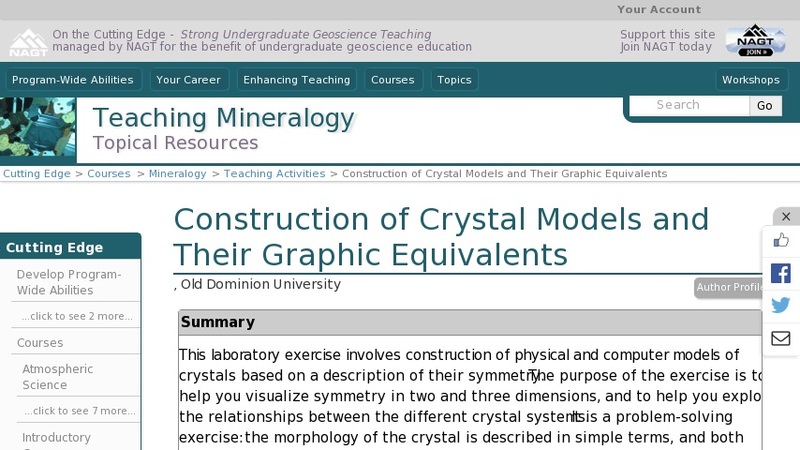 This laboratory exercise involves construction of physical and computer models of crystals based on a description of their symmetry. The purpose of the exercise is to help you visualize symmetry in two and three dimensions, and to help you explore the relationships between the different crystal systems. It is a problem-solving exercise: the morphology of the crystal is described in simple terms, and both physical and computer models should meet the requirements of these descriptions. Because the physical models may be used in other laboratory exercises, they should be large enough and precise enough for measurement, and durable enough to take handling.